Leading Importer and Supplier of Elasto Products such as Elasto Waterproof Compound, Elasto Damp Proof Course, Elasto Prefab Joint Sealant, Elasto Damp Proof Liquid, Elasto Antioxidant, Aqueous Polymer Elastocryl and many more items from New Delhi. 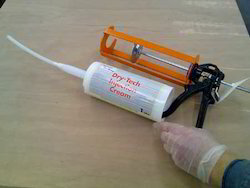 Damp Course Cream is a simple & economic alternative. It is especially suitable for building owners or contractors with small jobs involving a few metres of wall or a brick fireplace which has rising damp. Elasto Damp Course cream is an innovative silicone cream formulated as a water- based cream containing 80% active silicone which can effectively form a permanent silicone damp-course within masonry walls. 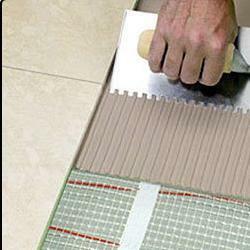 Refer to the following instructions on how to install your Elasto Damp Course cream system. We offer our products with a brand name Elasto. 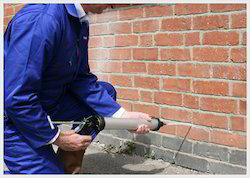 Damp Proof Course is water based low viscosity, highly penetrating damp proofing solution, which has been specifically formulated to permeate into the wet wall. Once impregnated into the course of brick work, it reacts with the minerals present to form a durable polymer damp course, which permanently stops rising damp. We offer our products with a brand name Elasto. 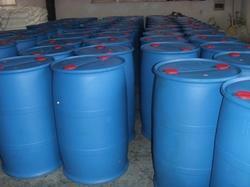 Aqueous Polymer Elastocryl is an excellent product for waterproofing. Aqueous polymer Elastocryl is generally compatible with various types of thickeners (mineral thickening agents, cellulose ethers, associative thickeners, polyurethane etc.) and the selection is dependent upon flow properties of the final product, its application method etc. Manufacturers must carry out their own trials for developing products based on Aqueous polymer Elastocryl, in manufacture and use, the compatibility of their components and final performance is affected by a large number of factors, which we cannot cover exhaustively in our own trials. Silicone Emulsion is a reactive silicone, based on silane/siloxanes, and is organic solvent dilutable, which imparts a colourless water repellent surface finish to mineral construction material without significantly reducing water vapour permeability. Elastosil Silicone Emulsion can also be formulated into solvent based formulations for water repellent treatments for building boards such as fiber reinforced cement boards (FRC). Elastosil Silicone Emulsion provides water repellence within 24 hours of application. The water repellence further improves over a week after application. We offer our products with a brand name Elasto. 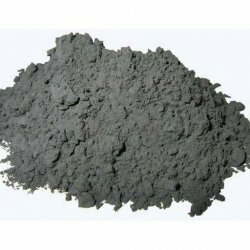 Cement Strengthener is specially formulated highly versatile polymeric dispersion which acts a cement strengthening compound and remarkably enhances the performance of cement mortar and concrete. Elasto Cement Strengthener acts as a multipurpose mortar additive which gives wide applications in civil engineering. We offer our products with a brand name Elasto. Mix ELASTO CS and water in the proportion of (1:6) and use this asgauging water in the concrete mix. This shall provide increased flexural and tensile strength. The admixed concrete shall have early setting time and the finish of the concrete face shall be fair and non- dusting. The concrete shall be resistant to oil, salt water, chloride, acid and vapour penetration. Use ELASTO CS with cement in the proportion of (1:1) to form thick slurry. Brush apply this slurry to the old concrete just before concreting. ELASTO CS and cement (1:1) to be applied on the surface of wall or concrete as well as behind marble or granite tile. Adhesive: Mix ELASTO CS and water in (1:1) and add it in the cement sand mix. Use this mortar for fixing when the primer is still tacky. Dilute ELASTO CS with water and cement in the proportion (1:2:1) and coat over the surface of freshly poured concrete to prevent excessive water evaporation, reduces crack & improves strength. 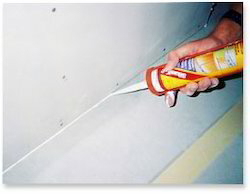 Prefab Joint Sealant is specially developed for Expansion joints and prefab joints, which unlike normal putty/ caulking sealants has excellent stress absorption capacity. Elasto Prefab joint sealant has very high flexibility and is U. V. resistant, thus making it an ideal product for sealing of joints having continuous movement. We offer our products with a brand name Elasto. Unique Repair Polymer is specially formulated highly versatile polymeric dispersion which acts a cement strengthening compound and remarkably enhances the performance of cement mortar and concrete. Elasto URP acts as a multipurpose mortar additive which gives wide applications in civil engineering. We offer our products with the brand name Elasto. Mix Elasto URP and water in the proportion of (1:6) and use this as gauging water in the concrete mix. This shall provide increased flexural and tensile strength. The admixed concrete shall have early setting time and the finish of the concrete face shall be fair and non- dusting. The concrete shall be resistant to oil, salt water, chloride, acid and vapour penetration. Prepare the base and apply primer obtained by mixing cement with Elasto URP and water in proportion of (2:1:1). When the primer is still tacky, apply mortar which has ELASTO URP and water in the proportion of (1:6). For repairing floor duct edges and nosing of stairs let the primer be same but mortar to be added with ELASTO URP and water in the proportion (1:3). Mix Elasto URP and water in the proportion of (1:6) use this as gauging water in the mortar and apply the mortar. Should there be any need of primer use (1:4) ELASTO URP water and cement to form a primer and brush apply this before the application of plaster. Use Elasto URP with cement in the proportion of (1:1) to form thick slurry. Brush apply this slurry to the old concrete just before concreting. Elasto URP and cement (1:1) to be applied on the surface of wall or concrete as well as behind marble or granite tile. Adhesive: Mix Elasto URP and water in (1:1) and add it in the cement sand mix. Use this mortar for fixing when the primer is still tacky. Dilute Elasto URP with water and cement in the proportion (1:2:1) and coat over the surface of freshly poured concrete to prevent excessive water evaporation, reduces crack & improves strength. Looking for Elasto Products ?